Known panda-hater, poll-loser, and Gizmodo senior editor Brian Barrett is out on vacation at the moment. 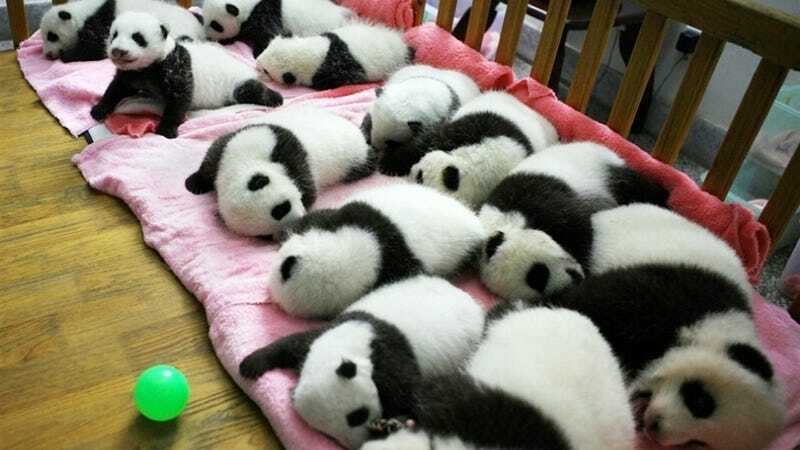 So I'm free to post this sickeningly adorable photo of panda bears—wonderful, tenacious creatures—sleeping in a giant panda crib. Eat it, Brian. Should We Just Let Pandas Die Off Already?